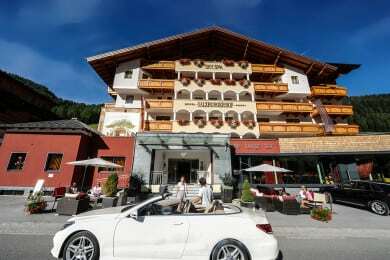 The Hotel Salzburger Hof is situated in a prime location in the mountain village of Zauchensee at an altitude of 1.340 m and around 10 km from Altenmarkt in Pongau, just 75 km away from the city of Salzburg. Here you can spend your summer or winter holiday surrounded by nature. 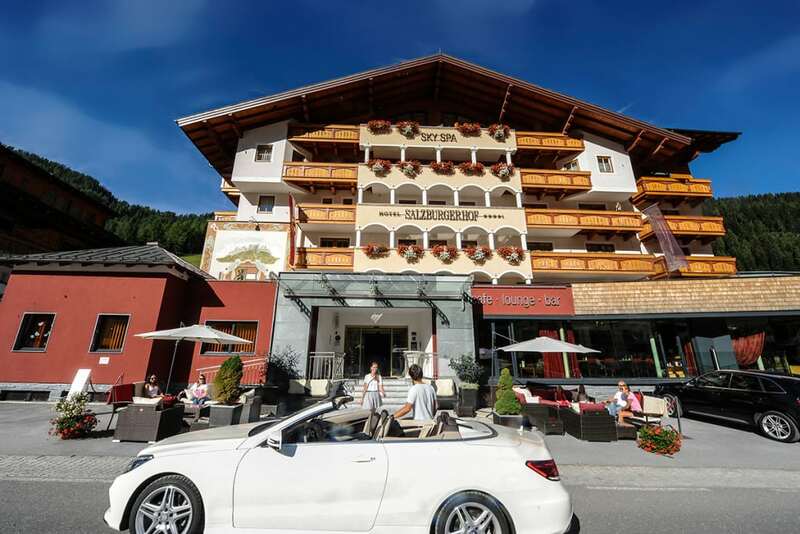 On your ski holiday take advantage of our great location next to the slopes in the world cup ski area of Zauchensee, in the heart of the Ski amadé. In summer you can start your hiking and mountain tours right in front of the hotel. Enjoy a family holiday full of variety in Zauchensee. Here at our family-gourmet hotel in Salzburger Land, both young and old will find plenty to keep them occupied – children can play to their heart’s content in the kids’ paradise, while teens can relax in the chillout-lounge. 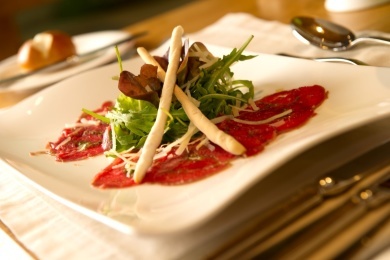 Parents can enjoy the highest quality in cuisine and from our wine cellar. 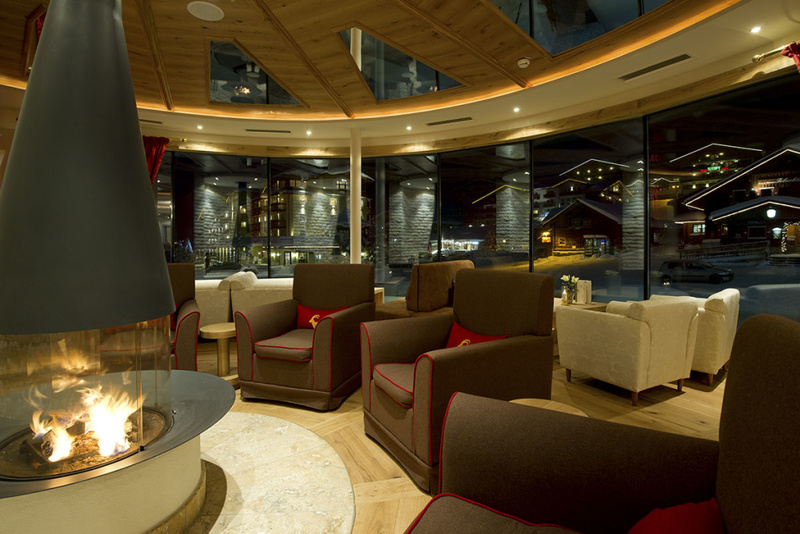 Savour the comfort of our 4 Star Superior Hotel in our hotel bar and our lounges with panoramic views. 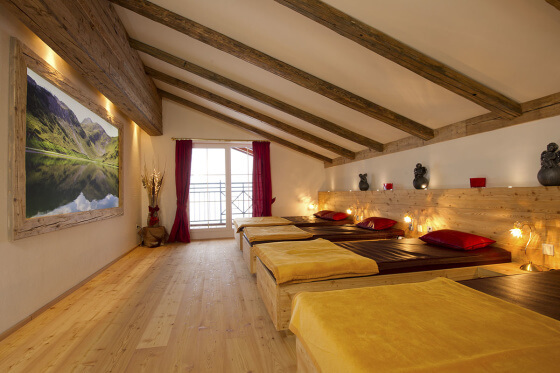 Relax in our alpine sauna area, our SKY SPA relaxation area or enjoy a massage and wonder at the idyllic view of Zauchensee. The panorama fitness room is the perfect complement to your sporting outdoor activities. Fun for the all the family can be had in our indoor pool with whirlpool. 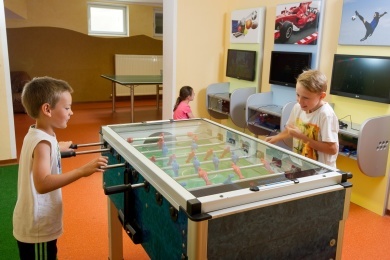 During the summer our garden with lawn and kids’ playground is the perfect place to relax. Calling all convertible-lovers – a pleasurable drive is guaranteed with our hotel convertible. As convertible experts we can offer you a special package. You can also rent our convertible for just one or more days. Of course we know all the best convertible tours in our region and are on hand to give you plenty of tour suggestions. Here at the 4 Star Superior Hotel Salzburger Hof in Zauchensee we place great value on sustainability and environmental protection and invest in innovative technology. Furthermore we use health-promoting solutions and offer special health-programmes. Take a look for yourself at the high standards in our hotel, based on our hotel recommendations as well as hotel impressions and videos. We, your hosts, look forward to welcoming you to our hotel.